Credit cards are one of the most common forms of credit facilities in the UK. With nearly 100 million credit cards in circulation and with most new cards making use of contactless technology, it is an important part of the consumer finance market. A credit card is simply a form of personal credit. In addition to being able to withdraw cash, a credit card also allows you to purchase goods or services using the card via pin or with security information if shopping online. Credit cards are provided by banks, building societies, supermarkets (with a financial partner) and other lenders, some of which are exclusively online. A credit card works much like a debit card in that you pay for services using the unique identity of the credit card to make payments online, in-store or in-person. The main difference is that a debit card deducts the payments from your bank account, a credit card uses a form of revolving credit which can be used in addition to your savings. This credit usually remains for the lifetime of the card, allowing you to access additional funds quickly and easily. Credit cards allow you to spend money ‘on credit’, up to a set a limit. When money is withdrawn, it is known as a cash advance, which can be completed via an ATM or, depending on the card provider, over the counter. This way of using your credit card attracts higher charges than when purchasing items on your card, sometimes as high as a 4% charge. If the balance is paid in full each month, you avoid interest being added to the balance. However, if a balance remains past a month, your purchases will be charged at a set APR, with transactions often backdated. So, if you make a purchase on the 1st, you will be charged an entire month's worth of interest. The way you use your credit card builds a credit history and affects for your credit score. The credit balance on your credit card is the amount of money you owe to the credit card company. Ideally you should aim to maintain a so-called ‘zero credit card balance’ by using your card each month and then paying the full amount when due, thereby avoiding any interest. The credit limit on a credit card will be determined by the credit card provider and usually linked to your credit profile. People with a higher credit score will usually be offered a higher credit limit. ; the higher your credit limit, the more confident the lender is in your financial management and your ability to repay the balance. Some lenders will also provide differing credit plans. For example, the Argos card credit limit could be used for larger purchases that are repaid between 3 to 12 months, with smaller purchases working in the same way as they do on a standard credit card. High limit credit cards, also known as premium credit cards, have credit limits amounting to thousands and, in rarer instances, no credit limits whatsoever. This form of credit card is designed specifically for wealthier individuals with a high income and an exceptional credit history. Your credit card limit will be the maximum amount you can borrow at any one point in time. For example, if your lender provides you with a limit of £2,000 and you make a £500 purchase, then you will still have £1,500 available. Should you go over this limit you will likely have to pay a fee. You may also negatively impact your credit history. How to increase credit card limit? You can apply to increase your credit card limit by either applying for an increase on an existing card, or applying for a new credit card. What is a credit card interest rate? A credit card interest rate is how much you will pay for borrowing the money to make purchases, or receive cash advances. This is stated as a rate per year, known as the annual percentage rate (APR). As a rule of thumb, low-interest credit cards have APRs at or around 10%, however there are products available that offer significantly lower rates, with some as low as 7%. However, in order to qualify for a good APR on a credit card, you will need to ensure that you have both a good credit history and a reasonable income. What once began as a short term financial product offered by banks and building societies, is today an offering provided by companies ranging from supermarkets to catalogues. Such retail companies as Tesco, Marks and Spencer, John Lewis, Asda, Sainsbury's or Post Office are on the list of the companies that provide credit cards in the UK. Among financial institutions you will be able to find offers from Halifax, NatWest, Barclays, Nationwide, RBS etc. Confusion around the difference between a debit card and a credit card is not uncommon. The difference between the two lies in where the funds are drawn from. A debit card will debit (e.g. deduct from) a bank account, while a credit card will add the amount to a line of credit. For example, you could use your Barclays debit card to pay for a product using funds in your Barclays bank account, or your PayPal debit card to pay for services using your PayPal account, or your Ocean credit card to settle a restaurant bill by borrowing from Ocean. Debit cards and credit cards may each be either Visa or MasterCard, with other card providers being American Express, Discover and Diner's Club. Credit and debit cards in the UK will typically be one of the former two. Another type of card is a prepaid debit card. This product is ‘topped up’, with funds added electronically either online or over the counter. They will be either a MasterCard or Visa debit card. How do 0% credit cards work? 0% credit cards can describe various forms of financial promotions. First, a credit card may offer 0% on all purchases for a set number of months. This would be known as the ‘interest free period’. Second, other credit cards will offer 0% on balance transfers from a competitor credit card. While the entire balance will then benefit from not accruing mounting interest each month, there is usually a fee for transferal. ‘0 credit cards’ may also be a term used to refer to using a credit card in such a way so as to not attract interest. In order to do this, you must always ensure the credit balance is repaid in full every month. What can I use a credit card for? One-off, large purchases, as you can then split the purchase price into monthly, affordable chunks. Examples could include a TV, furniture, a bicycle or washing machine. This is especially efficient if you benefit from 0% interest at the time of purchase. An essential purchase prior to receiving your salary within 30 days or less. Your supermarket shopping, as it can help you budget your weekly spending (just be sure to repay the balance before being charged interest. In these instances, if the company were to enter liquidation, you would be able to claim the outgoing back from the credit card company. This applies on all transactions between £100 and £30,000. Is it good to have a credit card? Although it can be good to have a credit card, there are a few considerations you need to be aware of. As with any financial product ⁃ responsible management and understanding help to reduce complications that can arise ⁃ the answer depends on your financial circumstances and how responsibly use your credit card. Just as with any other form of credit, credit cards have both their advantages as well as their disadvantages. What are some of the advantages of using a credit card? Provide insurance coverage on goods and services that you have purchased. Offer a convenient way of budgeting at no cost (although this does require that the balance is paid in full every month). Provide bonuses, depending on the credit card provider. Popular offers include cash back on payments made, air miles or loyalty points. Make big purchases instantly possible and more affordable, by breaking down the cost into smaller chunks over a longer period. Be used to transfer a balance across over to a 0% interest deal. What are some of the disadvantages of having a credit card? To be considered against the advantages, credit cards may also have the following disadvantages. If not used responsibly they can lead to debt problems. They may include many extra charges, such as fees for a late monthly payment or exceeding the credit limit. 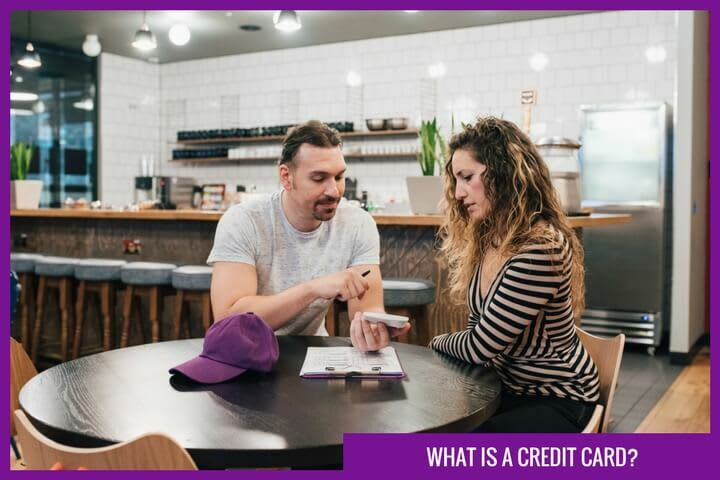 Where a credit card is used up to the credit limit, the interest charged per month can result in a very long repayment period, and a high total interest cost. Many people fall into the trap of seeing a credit card as ‘free money’, only later realising the implications of impulse spending when it comes time for the repayments. Where the terms and conditions are not fully read and understood, there could be problems further down the road. This could include fraudulent use of the card at an ATM, for which some providers hold the cardholder responsible. Here is a summary of what happens when lenders approve an online loan application. Initial Validation: Your loan application is validated online using initial validation methods which check the accuracy of the information entered. This process checks the validity of your; post code, telephone numbers, email address and some other details to see that they were entered correctly. Pre Processing: Your application is processed in order to prepare the information and adjust the input fields to match the requirements and data required by the lenders and underwriters. Ping posting: Your loan application is then sent to several lenders, one at a time. This is the core processing time required to get your online application decision and could take up to 2 minutes. You are advised to wait during this process as each lender that receives your application may pull additional data to validate and approve your application. Different lenders have differing lending criteria for approval, and as such you may be eligible for some cards, and not for others. Those with a seriously adverse credit record may struggle to be approved for any credit card at all, although there are credit cards designed for those with poor credit records. These forms of credit cards offer relatively low credit limits, but tend to suffer from higher interest rates owing to the perceived risk of lending to such an individual. Recently an increasing number of credit providers have started to offer eligibility checker tools that will provide you with a yes or no answer without leaving a potentially harmful footprint on your credit file. How can I get approved for a credit card? Whilst there are no certainties as to whether you will be approved for a credit card, there are steps that you can take to improve your chances. Knowing your credit score and what may be negatively impacting it. Thoroughly researching the market and using eligibility checker tools. Including all of your income on the credit card application. Making sure that you are on the electoral roll. If you have a ‘fair’ credit score (ranging between 650 - 699) the following credit cards may be suitable for you. Having a bad credit score (649 and below) might limit you options with getting a credit card. However, the following solutions may be worth exploring. You can apply for a credit card quickly, without the need for a pile of paperwork, either online or in-branch (if you plan on using a provider such as a bank or building society). After you apply for a credit card, you will receive an approval or a refusal. Should your application be approved, you can expect to receive you credit card within 10 days, and the associated pin number within 7 ⁃ 12 days. Once you receive your card you should take care to read the information that arrives with it ⁃ including the small print. When you receive the pin that follows you should memorise the number and destroy all of the paperwork. If your application is refused, you should try to find out why by getting a free credit report. Do not be tempted to apply for another credit card before taking this step, as this could further dent your credit history. For more help, read our guide: Credit Scores Explained. Can I use a credit card abroad? Concerned about using your credit card abroad? Foreign exchange fee ⁃ When you use your credit card to pay for goods overseas, you may be charged a foreign exchange fee (also known as a loading charge) of approximately 2.75%. This also applies to using debit cards abroad. Cash withdrawal fees ⁃ If you use your credit card to withdraw cash, you will also have to factor in the cash advance fee, which is usually around 2% ⁃ 3%, but can be as high as 4%, of the total amount withdrawn (again, this may also apply to many debit cards). Interest charges ⁃ If you do not repay the credit card balance in its entirety at the end of the month, you will be charged interest if you are not benefiting from an interest free promotion. With so many charges to consider, what are the best credit cards to use abroad? Here is a summary of credit cards for traveling. The Halifax Clarity credit card is one of only a few cards with no charges for use abroad, this compares to their other credit cards that are charged at 2.95% for non-sterling transactions. Tesco credit card abroad ⁃ 2.75% of transactions, 3% handling fee, minimum of £3 for cash advances. Nationwide credit card abroad ⁃ Depends on which Nationwide credit card – ranges between no fee and 2% for transactions, and a set 2% for cash advances. Yes, you can. Santander cards can be used in shops abroad that display the Visa sign, and in cash machines that display the Cirrus symbol. Using online banking and regularly reviewing your balance and purchases. ‘Account takeover’ (e.g. when personal information is gained to report a card as lost, with the fraudster later intercepting the replacement card. Credit card fraud in the UK is a growing problem and despite advancements in technology, such as the introduction of chip and pin and online verification programmes such as ‘Verified by Visa’, there has been a staggering 64% rise in card related offences between 2011 and 2016 . Taking care with your cards, always keeping them on your person and never handing over the card so that it goes out of your sight. Being protective of your banking documents, including the letter that the card is sent with, and all statements. Always signing your credit card as soon as it arrives, and cutting up old cards into a minimum of six pieces before you being thrown away. Credit cards in the UK are wide and varied, with products designed for every credit history. Used responsibly, they can provide convenience, rebuild a less than perfect credit history and make large purchases more affordable.